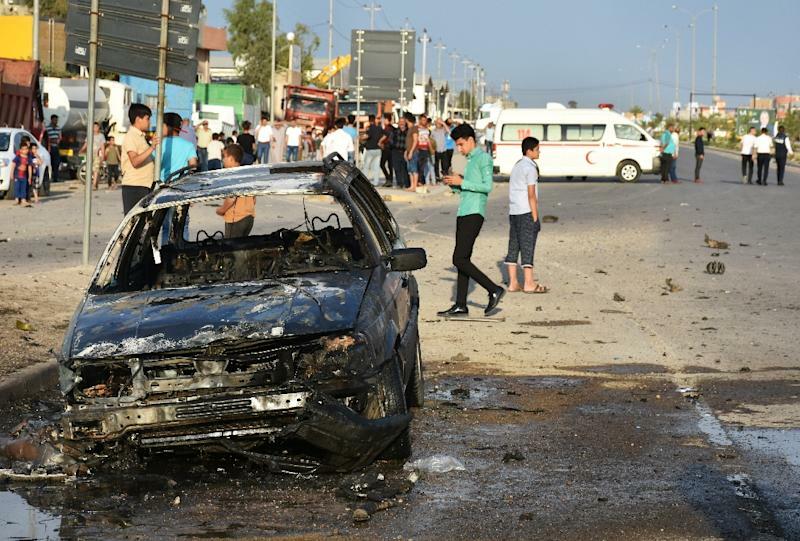 Baghdad (Iraq) (AFP) - A car bomb attack targeted an election candidate in Iraq's contested Kirkuk city on Sunday, killing one person and wounding 11, a security official said. The blast in the multi-ethnic city, some 250 kilometres (155 miles) north of Baghdad, came as war-torn Iraq gears up for legislative elections on May 12. "A civilian was killed and 11 people were injured, including three bodyguards, in the convoy of Ammar Hadaya Kahya, a candidate for the Turkmen Front in Kirkuk," the security source said on condition of anonymity. There were no immediate claims of responsbility for the attack. Iraqi troops last year seized the vital oil-rich Kirkuk region from Kurdish forces after a controversial vote for independence in Iraq's autonomous Kurdish zone. Turkmens largely welcomed the return of government control forces, years after the Kurds took over the area amid the chaos of the Islamic State group's march across Iraq in 2014. Since the return of Baghdad's forces, the region has seen clashes between Kurdish fighters and Turkmen units of the Hashed al-Shaabi paramilitary forces, officially controlled by the government. Candidate Kahya is an advisor to Falah al-Fayadh, who official heads the Hashed. Elections in Iraq have typically been accompanied by violence since the ouster of dictator Saddam Hussein by the US-led invasion in 2003. Bloodshed has subsided in recent months, but several deadly attacks have taken place. Four people were killed and several wounded last Sunday in an IS suicide attack on the headquarters of a political party in Anbar. The Iraqi government declared victory over IS in December after pushing the jihadists out of their final holdouts along the border with Syria. But the group retains the capacity to strike despite losing control of vast swathes of Iraqi territory it seized in 2014.